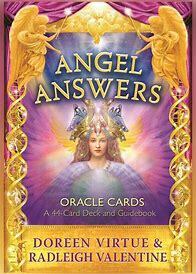 Categories: Angel / Tarot cards, Angels / fairies, Giftware, Homeware / Household, Religious / Spiritual. If you’re navigating through a confusing situation, this card deck will yield straightforward answers to give you the clarity you’re seeking. 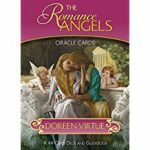 Doreen Virtue and Radleigh Valentine, bestselling authors of Angel Tarot Cards, bring you an oracle card deck that cuts to the chase with the most pertinent information you need. The 44 beautifully illustrated cards come with step-by-step instructions in the accompanying guidebook. 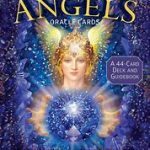 For those who have never worked with angelic energy before, or who are introducing a client to their unique power, these cards will be an invaluable tool.